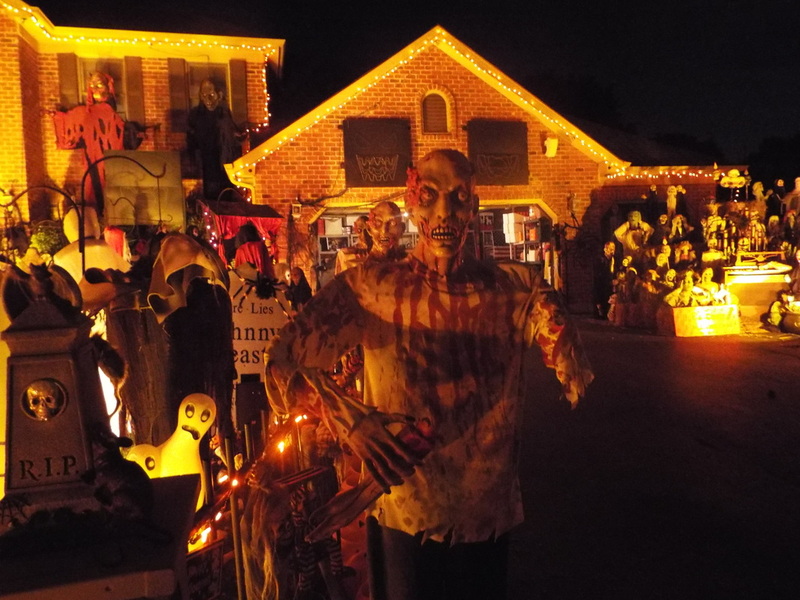 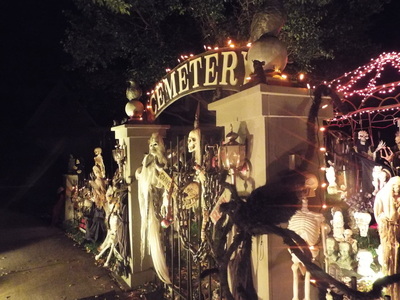 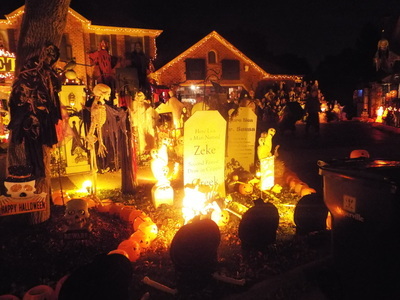 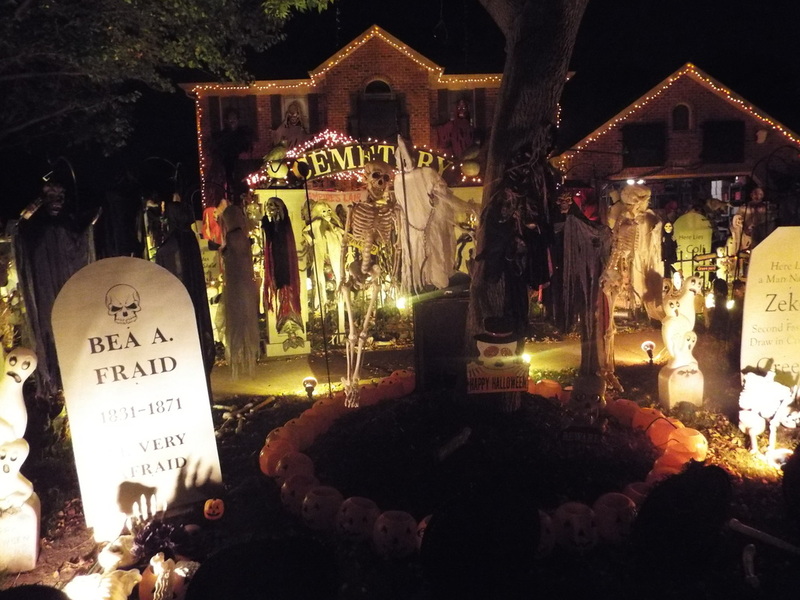 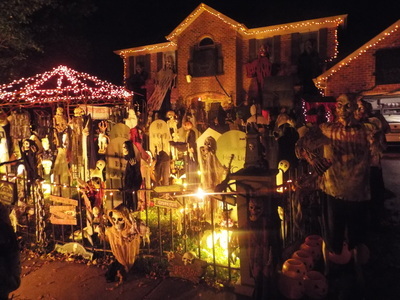 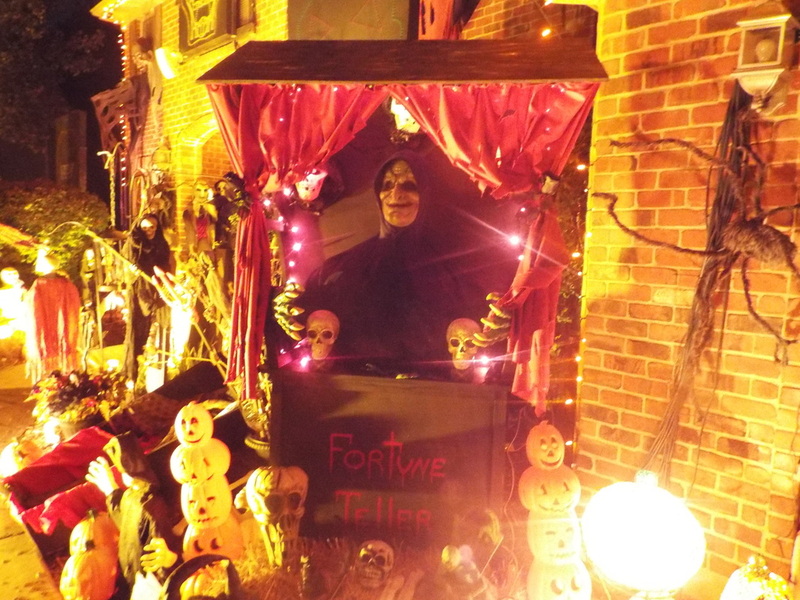 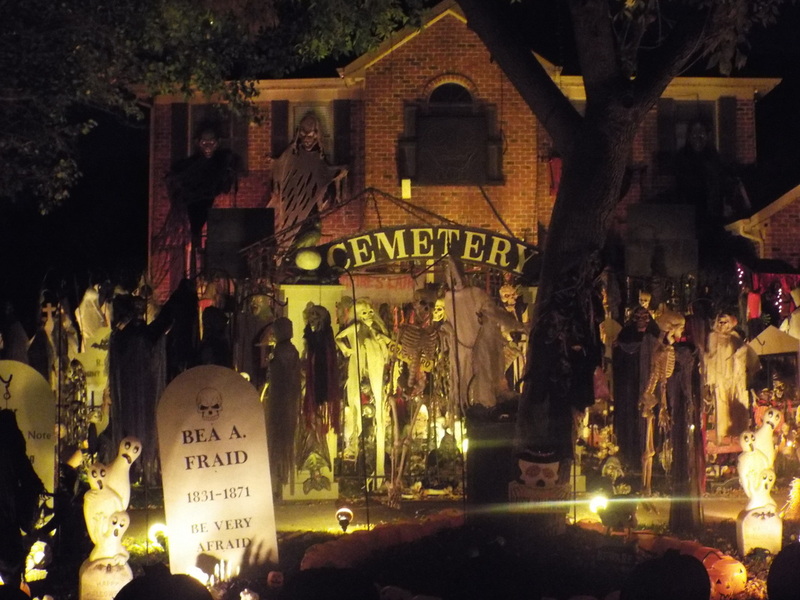 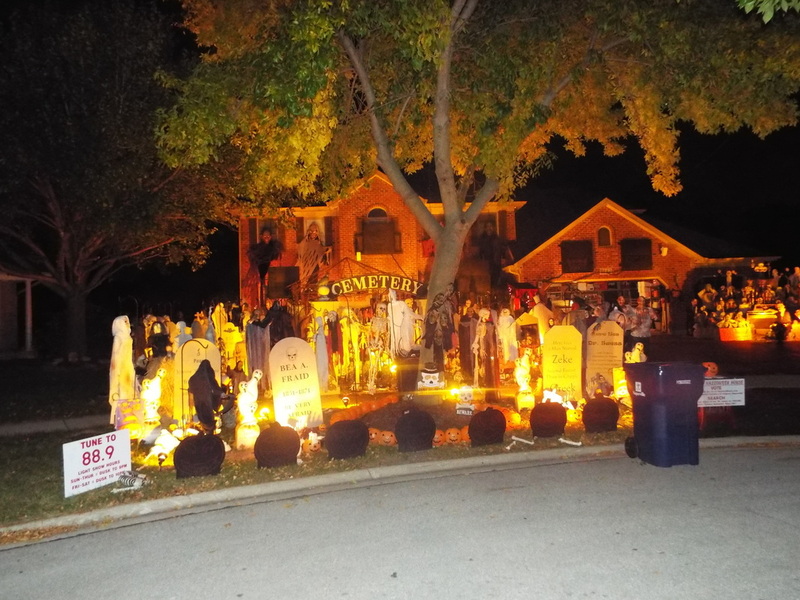 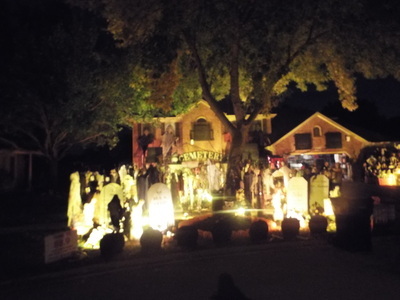 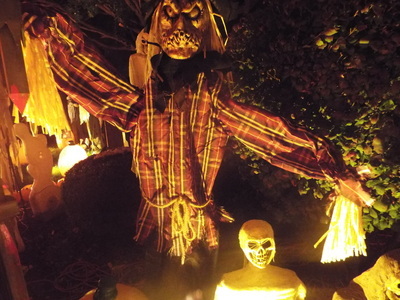 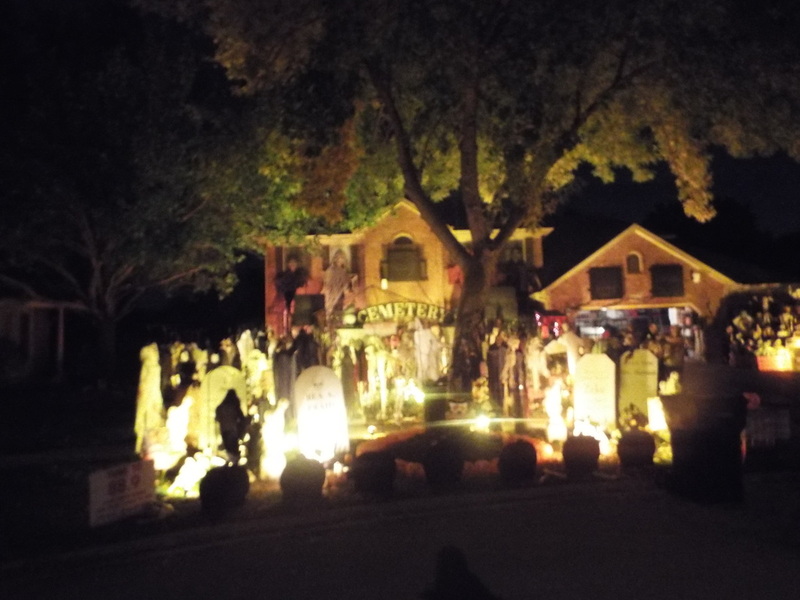 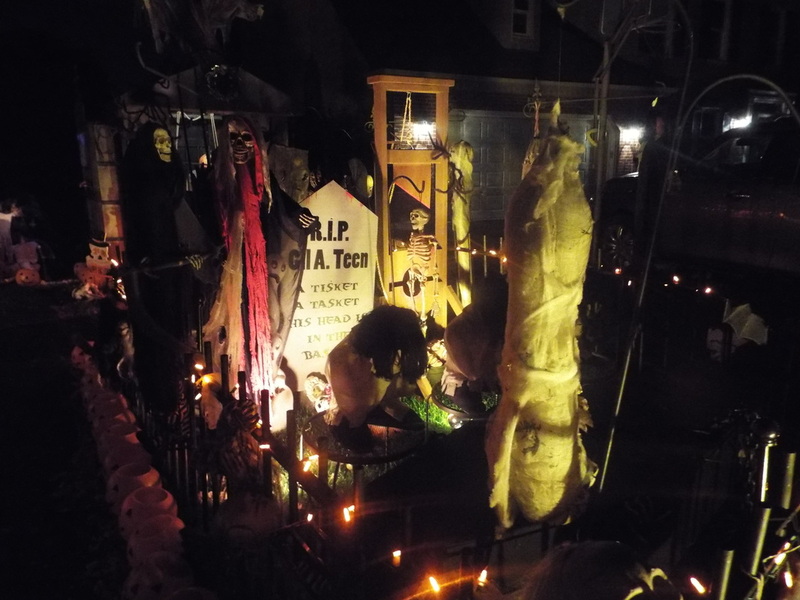 Haunted Cemetery Ashbury boasts one of the largest yard displays out there, with over 1,000 individual pieces covering most of the large property. 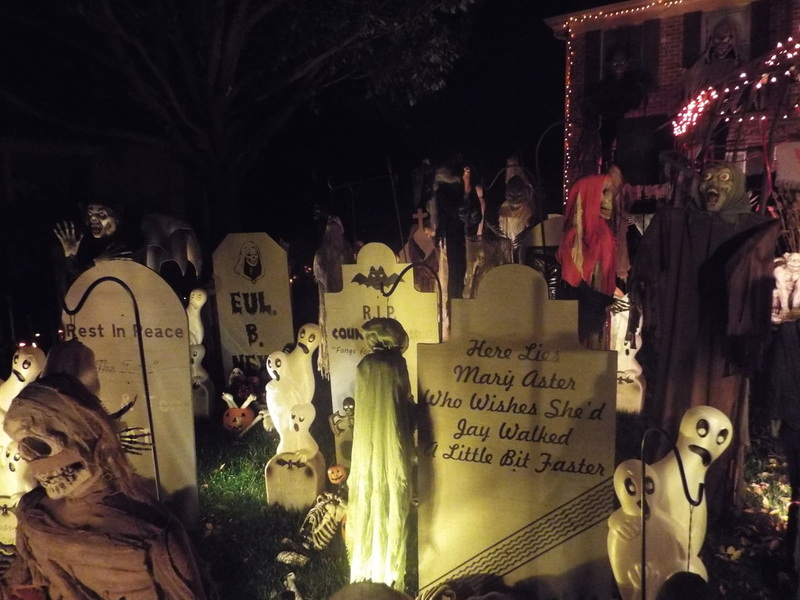 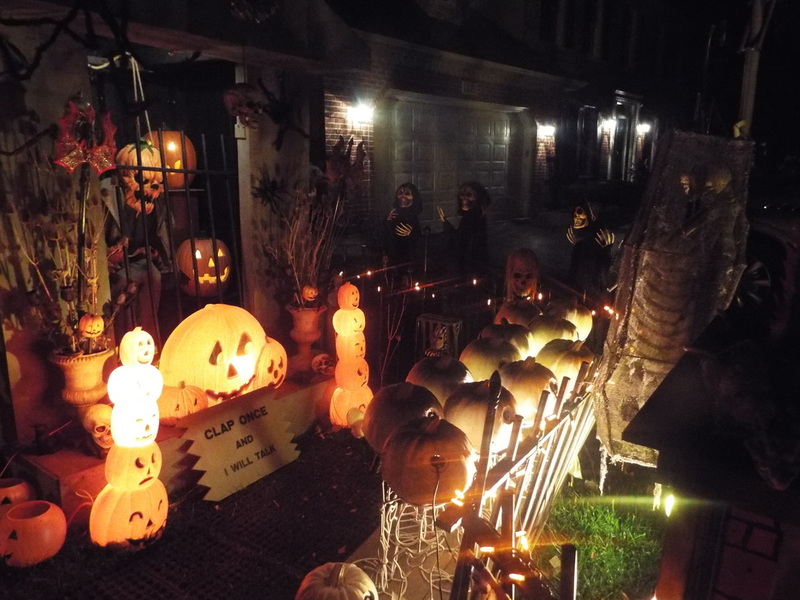 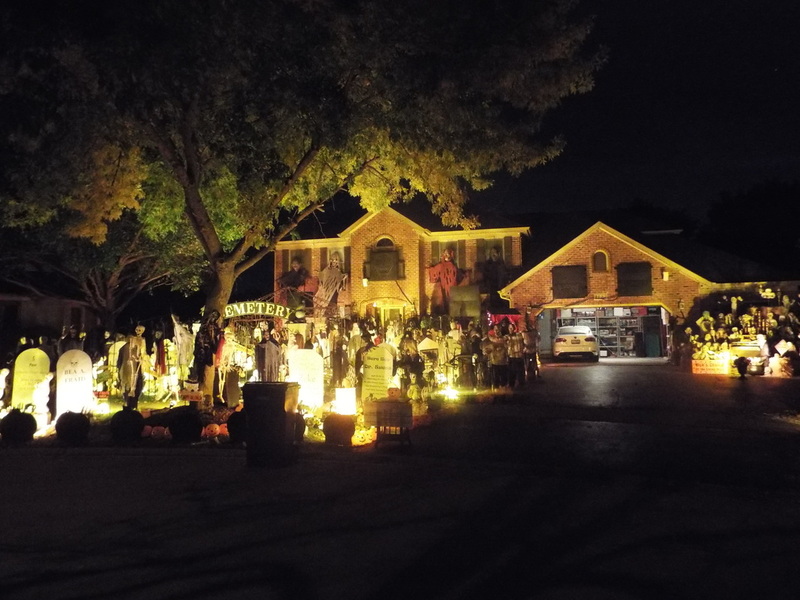 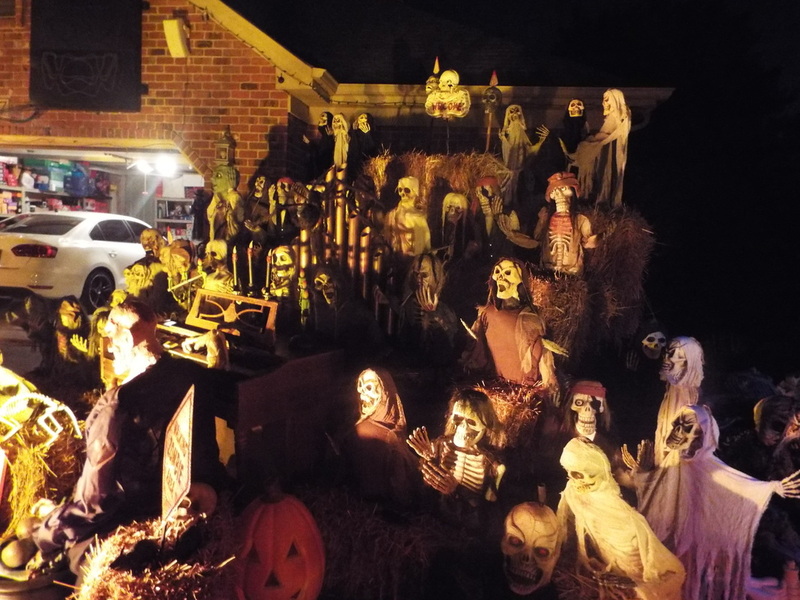 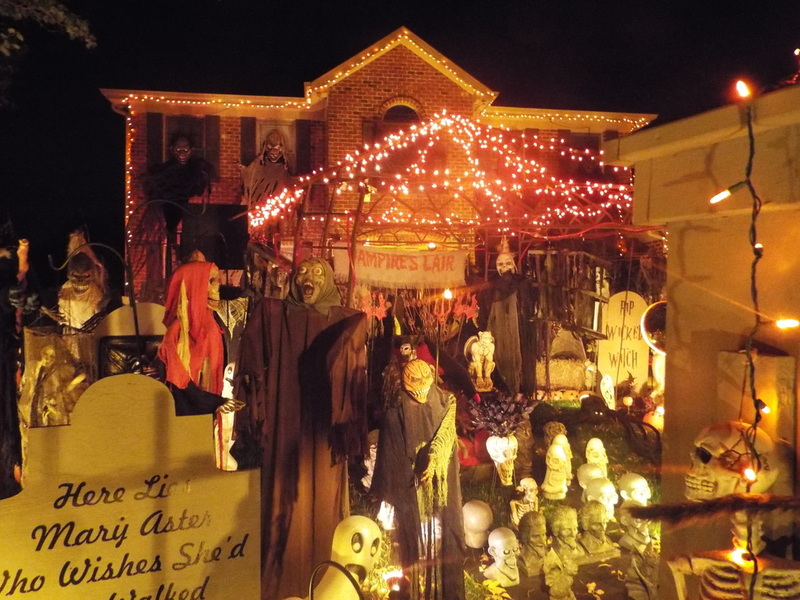 Unlike some other big yard displays we have seen, which have multiple different scenes scattered about, Ashbury mostly consists of signs and figures arranged in a seemingly random pattern. 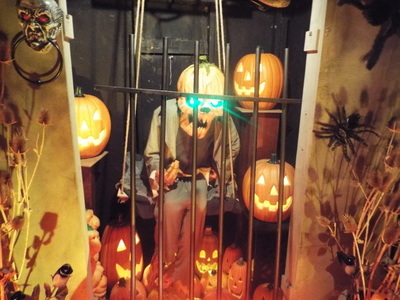 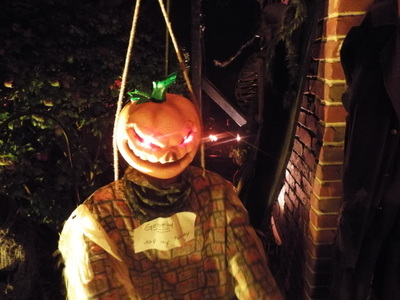 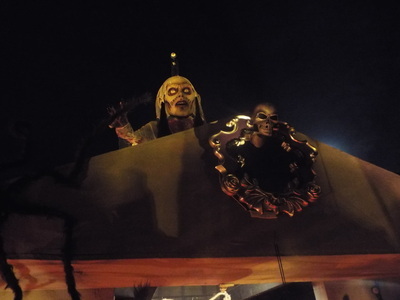 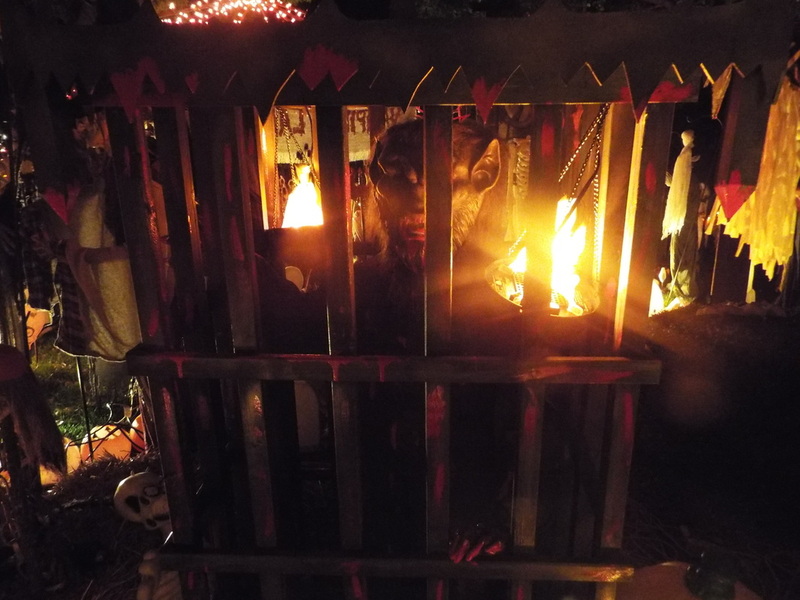 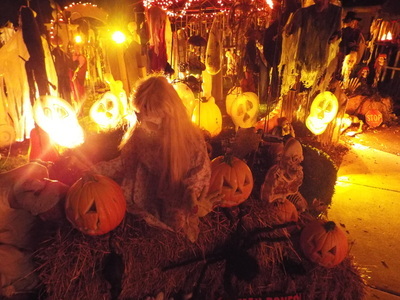 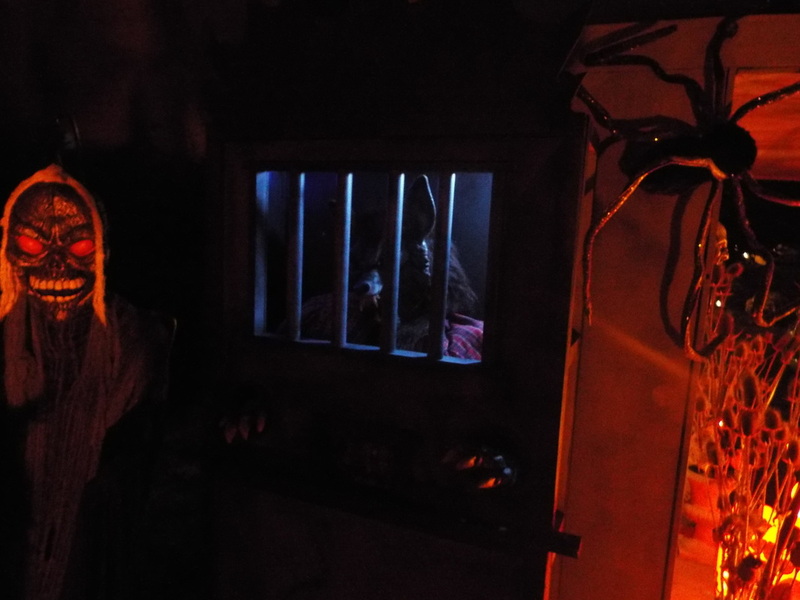 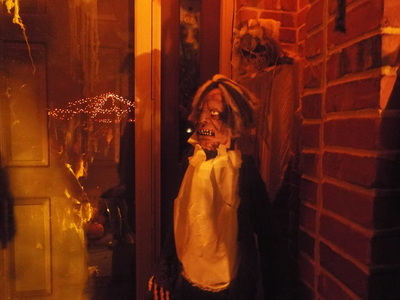 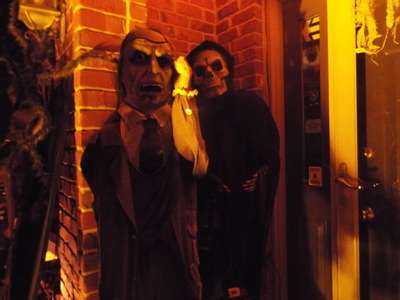 There are a few scenes, such as one featuring a "choir" of various ghouls and a mausoleum setup in the middle of the main portion of the display, and a talking pumpkin with some rather funny sayings, but mostly it's a huge collection of Halloween props and decorations of all kinds. 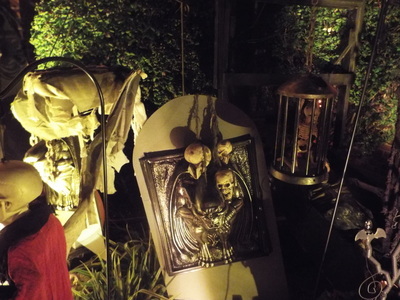 Since there are so many pieces, there is a lot to see here, and if you want to really see everything you're going to have to spend some considerable time visiting. That's OK, because in order to help you while away the time looking at all of the props, there is a synchronized light show with music as well. 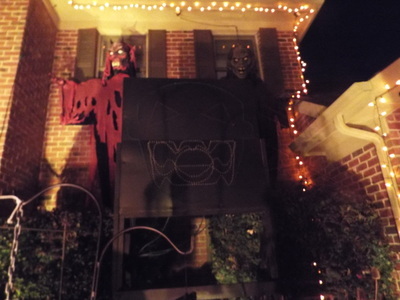 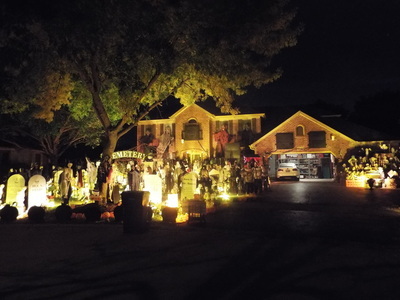 Various tunes play as several animated jack-o-lantern images on the house and garage "sing" the lyrics. 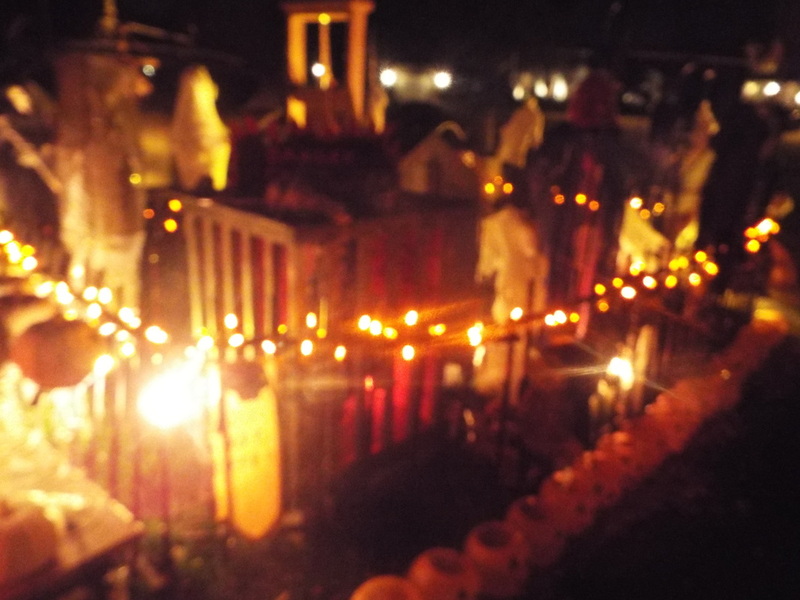 The lights move in sync with the music, adding another dimension of fun to the entire proceedings. 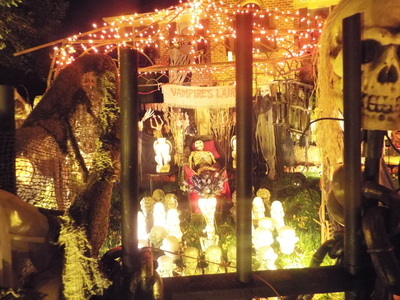 And good news for those cold October evenings - you can even tune into the music using your car radio, and just sit in comfort and watch the lights dance. 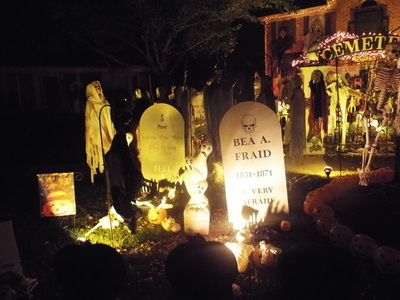 This is a great display for people with smaller children and even for the whole family. While we have to say that there is so much to see that it's actually almost too much to take in, which diminishes the quality in our opinion, if you come on nights when the light show is running it is well worth it.